Capture the spirit of the alluring French Riviera with this Olive & Thyme Pack of 12 Tealights from Yankee Candle, part of the Riviera Escape range of fragrances. Take a trip to the Mediterranean Coast and explore through the spotted trees of fresh, black olives. 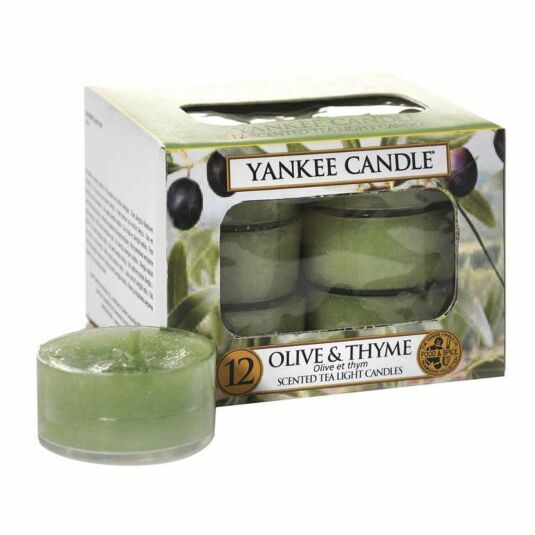 This scent offers herbal scents of olive leaf intertwined with hints of sharp citrus and musk.